I write and have a story just for Magnetic. Awesome. We will happily take a look at your submission. But do understand that Magnetic content is based on our personal selection. We choose the talent being featured. Your chances will greatly increase if you bring a fresh perspective to your pitch. We don’t much care if you’ve been previously published, your work will speak for itself. Please submit all proposals as a Word doc to our editor via email (info at magneticmag dot com). Don’t forget to include your full contact-details. I’m a photographer and have a story just for Magnetic. I’m an artist and want to be featured on Magnetic. If you feel like you’re shaping the future in real-time, please let us know. 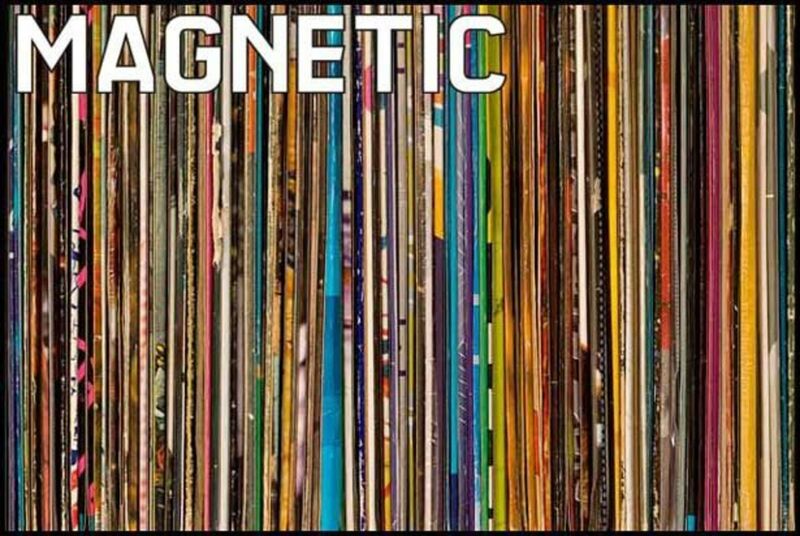 Magnetic was created to document it. If you’re a musician, don’t send MP3 files—send us a link and we’ll have a listen online. If you’re a photographer, see above. As always, don’t forget to include your full contact-details. I have a website or blog and would like to exchange links with Magnetic. Does Magnetic sponsor events or tours or art-projects or exhibitions? I love what you guys are doing at Magnetic and just want to support it in some way, what can I do? I want to join the Magnetic team; I’m looking for a job; do you have any openings? The only positions currently available are internships. If this is something you’re interested in, please send our editor an email. Questions you should ask yourself before hitting send: Do I have drive, motivation and passion for electronic music and the surrounding culture? Do I love creative things and creative people? Am I knowledgeable about upcoming trends, styles and music? Do I love to write? Do I have a command of the English language? Am I interested in a relationship or am I just looking for a one-night stand? Still interested? Sweet, tell us a few words about yourself, your goals, things you like, what motivates you and send us also some examples.